Earth's fate rests in their hands. 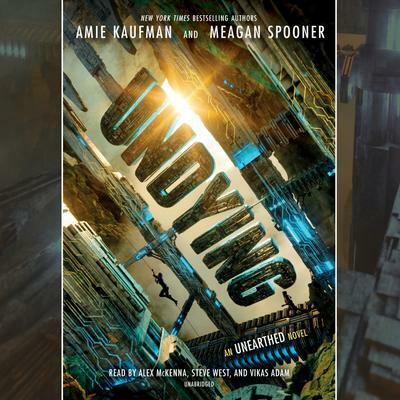 Trapped aboard the Undying's ancient spaceship and reeling from the truth they've uncovered, Mia and Jules are desperate to warn their home about what's coming. After a perilous escape, they crash-land on Earth's surface?but Jules and Mia can hardly fathom their new predicament: No one believes them. Because the threat against Earth is hiding in plain sight. A mounting global crisis is taking shape, starting with a mysterious illness that seems to reduce its victims to a regressed state. Jules and Mia have no choice but to take matters into their own hands, escaping custody of the International Alliance in order to reuinte Jules with his father, the disgraced expert on the alien race, whose research may be the key to saving humanity. From the mountains of Spain to the streets of Prague, the epic conclusion to the Unearthed series is a white-knuckle ride that will keep listeners guessing until the final moment.